What would you do if your dog was involved in an accident or became incapacitated due to some other type of health problem or sudden emergency? Are you prepared to save your dog’s life? Or, your dog’s heart could stop beating for some other reason. However, few pet owners are prepared to handle pet emergencies. 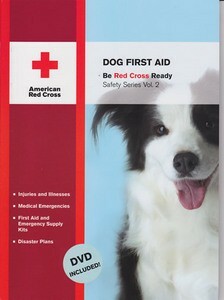 Specifically, only 20% of pet owners have a pet first-aid kit with medical supplies in their home. 62% of dog owners let their dogs ride in their cars unrestrained (rather than in a pet carrier). 59% of pet owners say pets are only a minor consideration when picking out holiday decorations, even though 14% say their pets have gotten into the decorations before. 54% of pet owners don’t have a fire evacuation plan for their pets. 53% of pet owners don’t have a natural disaster evacuation plan for their pets. 41% of pet owners have experienced at least one emergency trip to a vet. 17% of pet owners have had a pet attacked by another animal. 16% of pet owners have had a pet experience an allergic reaction. 15% of dog owners say they’ve left their dogs alone in a car or truck. 11% of pet owners have had a pet hit by a car. 7% of pet owners have had a pet eat something poisonous. Your best bet is to learn dog CPR now, so you’ll be ready if and when you ever need to use it to save your dog’s life!